“Kids should just be able to be kids,” says Dana Michell, a Three O’Clock Project board member. “They shouldn’t have to carry the burden of hunger. It’s truly heartbreaking that so many do, but it feels good to be able to provide something to help these kids.” Photos courtesy Emily Chatelain. At each meal, Emily Chatelain places a colorful spread of fruits and vegetables in front of her son Bennett. The scene is familiar for the pair, as Chatelain has worked to fill Bennett’s diet with all the fresh ingredients integral to a healthy diet since he started eating solids. In the same way, Chatelain has also been working to broaden the palates of children across Louisiana by providing diverse and nutritious meals to those who would otherwise go without. Emily Chatelain (left) joins forces with healthy food vendors and employees to provide kids with nutritious and balanced meals and snacks. Motivated to make a change, in 2016, Chatelain joined forces with a few friends to extend meals beyond school hours through a new organization called the Three O’Clock Project. 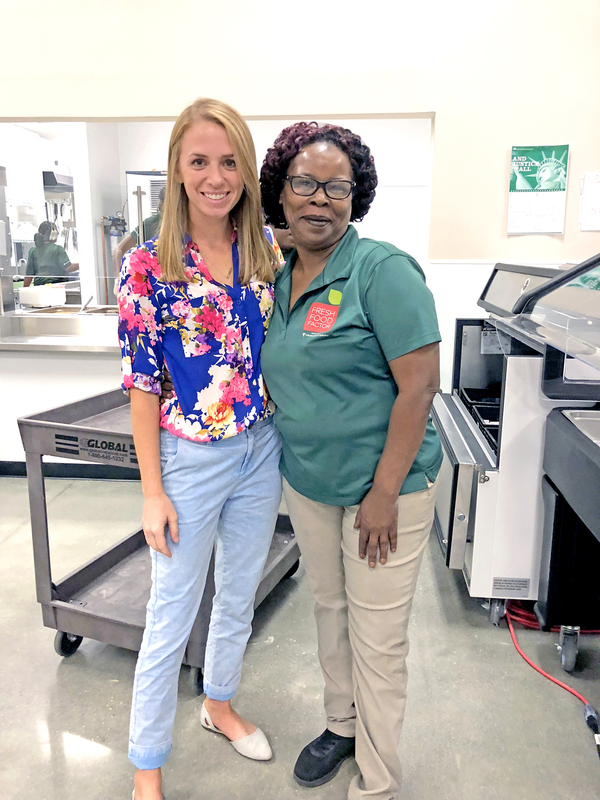 A sponsor of after-school and summer programs under the federal Child and Adult Care Food Program, Chatelain’s nonprofit initiative is aimed at connecting vendors with local programs to supply kids with healthy options. Starting meal services officially in 2017, the Three O’Clock project now serves about 25,000 meals a month to more than 3,000 kids in 30 nonprofit after-school programs, including Kids’ Orchestra, Boys & Girls Clubs and the YMCA, with even more outreach in the summer when food insecurity is high. And while expansion is one of the group’s main goals, Chatelain says the organization’s impact goes far beyond the cafeteria. By providing healthy alternatives to kids, Chatelain is hoping to educate through the introduction of new and nutritious foods. She is also working with her board members to create lesson plans and other resources like kid-friendly cookbooks to help teachers and students get involved and become more active in making a healthy lifestyle the standard. As Chatelain notes, participation by the community is vital in making these goals become reality, as is the case with all nonprofits. The Three O’Clock Project aims to mobilize people against the hunger epidemic by spreading the word about the kids and families it is directly affecting.